Combine everything but the pretzels in a large mixing cup and stir until fully incorporated. 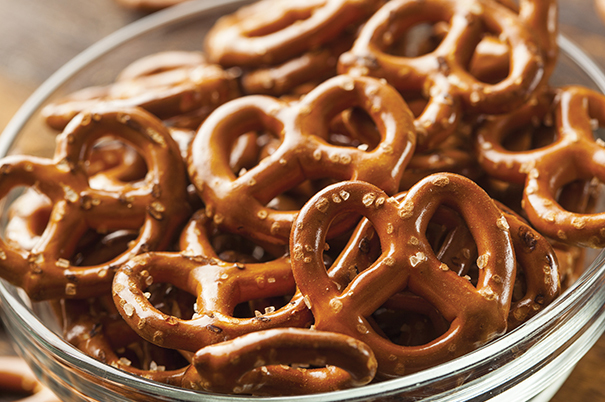 Toss pretzels and sauce in a large bowl until well done, then pour onto a baking sheet and cook at 325 degrees for 15 minutes, stirring a few times. Once fully cooled, keep in an airtight container or gallon bag until ready to serve.